Which is quicker, a bike or a horse? 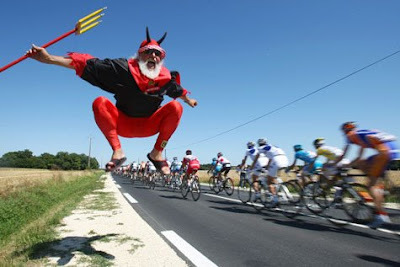 Even the devil himself enjoys the Tour de France. 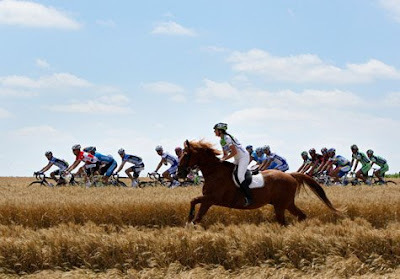 How the Tour de France takes a nature break.